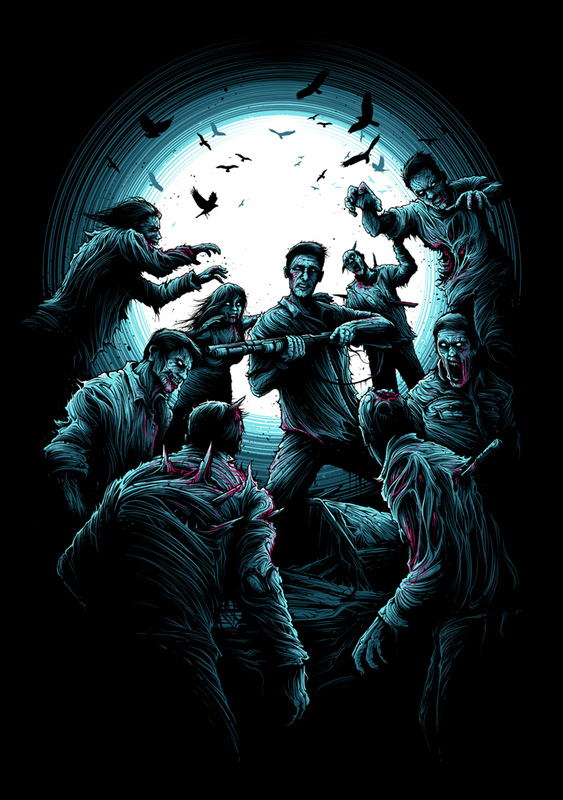 Dan Mumford will have 3 prints available soon. See below for details. On sale Thursday, April 23rd at 5pm GMT (9am PDT) HERE. The second two prints are AP’s from two releases originally through French Paper Art Club. These are limited to less than 10 available each. – ‘The Grey Warden’ is 18” x 24” in size, 4 colour screen print, signed, embossed and numbered, created for the release of the EA/Bioware game, Dragon Age: Inquisition, priced at £45 gbp. 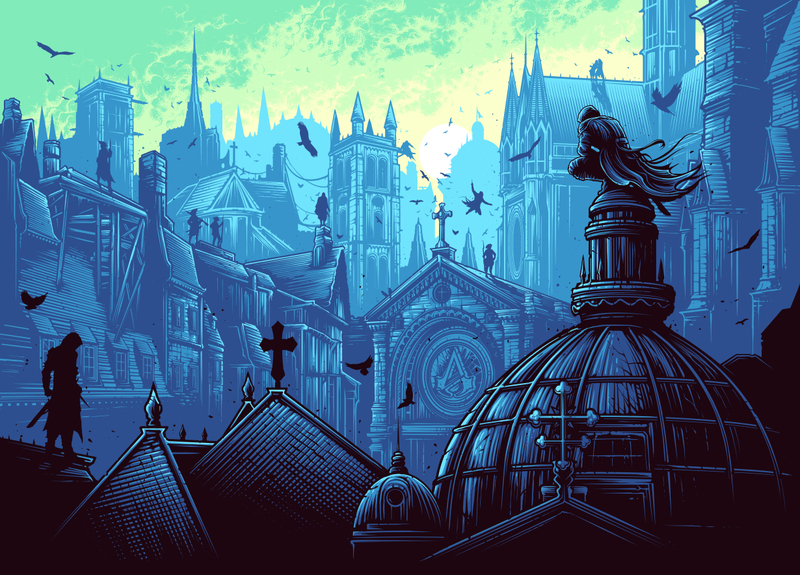 – ‘Confrérie’ is 20″ x 28” in size, 7 colour screen print, signed, embossed and numbered, created for the release of the EA/Ubisoft game, Assassins Creed: Unity, priced at £50 gbp. 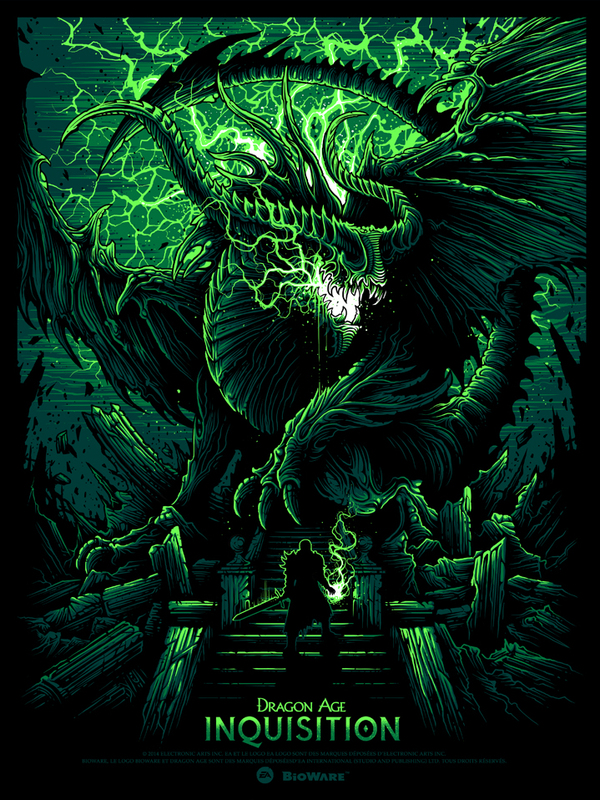 This entry was posted in Art Prints and tagged Assassins Creed, Dan Mumford, Dragon Age by admin. Bookmark the permalink.